Welcome to EPIC Translations, a provider of document translation services. Global brands hire us to translate their technical documents, website copy, legal contracts, instructional manuals and other global documents to stay ahead of competitors and to increase global market share. We deliver world-class translation quality at superb speed and a reasonable price. We have built loyal clients by maintaining a proprietary translation workflow, experienced translators, and translation tools that ensure consistency in terminology, style, and tone. All of our linguists are highly trained professionals with multiple years of experience in your industry and local markets. 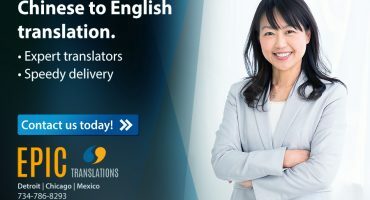 Whether you need to translate English to French or to translate German to English, you can conduct business with ease knowing that our team of translators will deliver high impact translations. Whether you need to translate English to Chinese documents, translate English to Arabic documents, or Chinese to English translation services, we invite you to explore more of our website and discover our multilingual services, including technical translations and legal translations. The power of words can influence a nation and EPIC Translations makes sure that your words are heard and understood correctly! Learn more about us today and discover why so many global brands love our professional document translation services. In today’s fast and bustling world the need to have information in a short time frame can be the gust of wind that accelerates you ahead of the competition. We understand that time is your most precious commodity and we seek to save you as much time as possible. At EPIC Translations, our certified translation services are fast and accurate. Each member of our team of professional translators can translate from 150 words to 200 words in an hour. 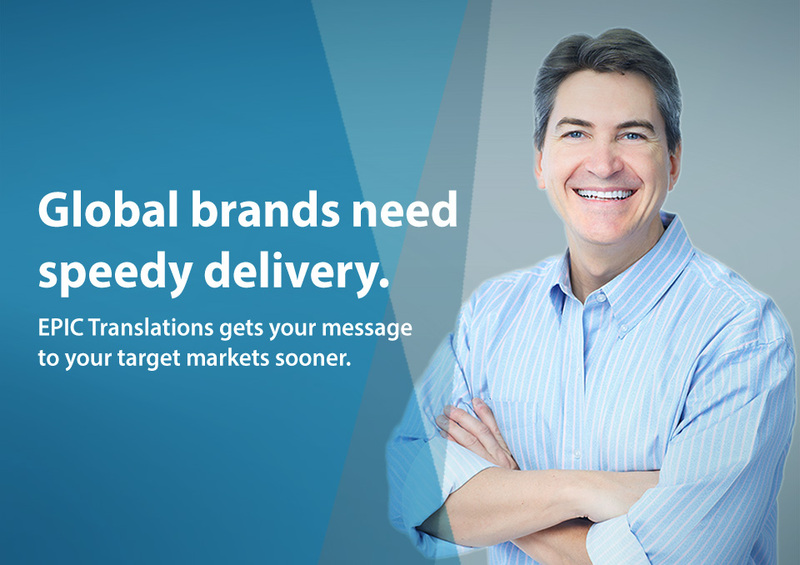 Imagine what 20,000 linguists can do for your global brand! Applying advanced translation systems and technology, our team of professional translators will meet your deadlines! Your project documents will be separated from most significant to least significant. They will be delivered to your personalized project portal on time without compromising the high quality language translation services we have become so well known for. At EPIC Translations, we are much more than a translation service. We are a productivity tool! Our website localization services have become one of the most sought-after services we provide. 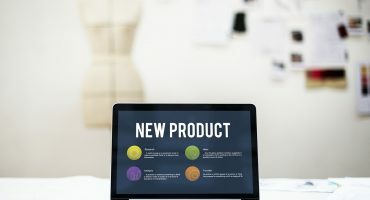 Localizing your website involves more than just translating your website copy; it requires intimate knowledge of the target country and its business psychology. We take the time to make sure your company’s brand will be well received in the target country. Research shows that localized websites have more brand value and produce more annual revenues than non-localized websites. Combined with our industry experience—including manufacturing, agriculture, automotive, energy, engineering, financial services, legal services, marketing services, medical services, pharmaceuticals, publishing, and technical services—your message will be on target. The delivery of seamless and effective interpretation involves more than merely hiring a translator. Interpretation is a specialized skill that requires years of education and training to be executed efficiently. At EPIC Translations, we hire only the most qualified interpreters to ensure that you get the highest level of services possible every time. We provide Consecutive Interpretation (translation performed at breaks to the exposure of the source language), Simultaneous Interpretation (translation performed at the time of the exposure to the source language), and Interpretation Equipment. Our Consecutive Interpretation services seamlessly facilitate your communication at medical and legal consultations, business meetings, court hearings, workshops, press conferences and interviews. Our Simultaneous Interpretation is an ideal choice for conferences, meetings, and lectures. Furthermore, we provide interpretation equipment for the duration of your event. You can communicate confidently as the latest and most reliable interpretation equipment guarantees that your interpretation needs are met. Our transcribers will be able to transcribe interviews, conference, meetings, and speeches flawlessly. We provide Audio to Text, Text to Audio, and Audio to Audio services. For global brands conducting business in the global marketplace, a Multicultural Marketing Team is imperative. Here at EPIC Translations we greatly value and represent the world’s many diverse, unique and rich cultures. Drawing on our well-qualified team of Multilingual and Multicultural Staff members with in-depth knowledge of their respective cultures, we translate your business message around the world for others to understand. When operating in multiple countries, it is very important that your staff have some level of understanding about that country and its culture. To ensure you find a welcoming home in multicultural markets, we provide short-term and long-term multilingual staff augmentation services. Our Language Services encompass 180 Languages including English, Spanish, French, Portuguese, Chinese, Japanese, German and Russian translations. When you work with EPIC Translations, your message is guaranteed to be understood precisely the way the message is meant to be understood. The moment you hire EPIC Translations, your business will benefit from the increased value produced by our professional translation services. Our translation services based in Chicago and Detroit have provided many global brands (located throughout the world) with comprehensive translation and related business services, all of which have made EPIC Translations a powerhouse document translation services company in the USA. EPIC Translations is a global document translation services company. We have more than 20,000 experienced linguists in virtually every country and time zone. Our global reach enables you to make sure you don't fall behind in your international operations. Our professional translation services are always working for you around the clock, and easily accessible through your personalized project portal. We greatly value our reputation, and we continue to provide a high level of after market service for all of our clients. EPIC Translations provides document translation services for global brands wanting to sustain and increase global market share across Europe, Asia, and the Americas. Our proprietary translation workflow ensures consistency in terminology, tone, and style for all of your global documents. Our clients have relied on us time and again for Japanese to English translation as well as to translate English to Italian documents. Reach out to us today to get started on your next document translation project. Fill out the easy quote form or call us at 734-786-8293 to request a price quote. Our group was very impressed with your interpreter and your service, we look forward to future transactions with you. "This was our first time working with a translation company & EPIC Translations really came through for Lightning Master’s needs. The documents that needed to be translated were very industrial with content written by engineers. EPIC Translations made this task easier than expected. They were dedicated to making sure we were satisfied and quality was of the utmost importance. When needed again, LMC will be sure to contact EPIC Translations for their expertise." Thank you…you have made this a very easy choice & process. We have industry-specific terminology, and EPIC Translations has adapted well to our specialty requirements for a variety of different languages. When a direct translation would not yield the intended meaning of the source text, EPIC Translations was also able to offer us localized translations that convey our meaning more clearly. We have received exceptional service from EPIC Translations for our website localization project into six languages. "Everything worked out perfectly. Thank you so much for your assistance! You are awesome!" EPIC Translations delivered exactly what we wanted in a quick and efficient manner, plus it was on budget. The exemplary service and professionalism EPIC delivers has made supporting the translation needs of our physician clients a breeze. The service that EPIC Translations provided was exceptional. Requests were attended to promptly, services were delivered on-time or ahead of schedule, translations were of high quality, and the customer service received from the account manager was exceptional. Wahou, thank you so much Mostansar! That’s amazing, it was so quick! Amazing service. I will definitely send you more work! Translations allowed us to prepare the safety labels we require to be in the language of our Customers. Translations help us with our international customers (manuals, spec sheets, brochures, etc.) so that they can understand the product and features, and know how to use it. Our company is located in Switzerland. The native language of most employees is German. Customers in America greatly prefer documents translated from German into English for review. It helps reduce our time and cost of converting international documents (tenders) into English so we can properly respond to these opportunities. For us, it's a needs-based service. We do not generally suggest that clients offer multiple languages in their communications unless they are clearly facing an audience with that need. So if, at that point, we are faced with needing a translation, that is also when and how a translation service can help us. For my particular role it assist in communicating high level/important messages to ALL employees globally while removing the translation burden from our local teams. If my department is able to provide accurate/timely translations to our local teams, it frees up their time to do what it is they do such as HR, Ops functions, sales, etc... We can also ensure that we control the message to ensure its integrity. EPIC Translations allows us to quickly translate our monthly newsletter. We use EPIC Translations for translating Equipment Manuals for some customer needs who would like them translated as our documentations are in English only.